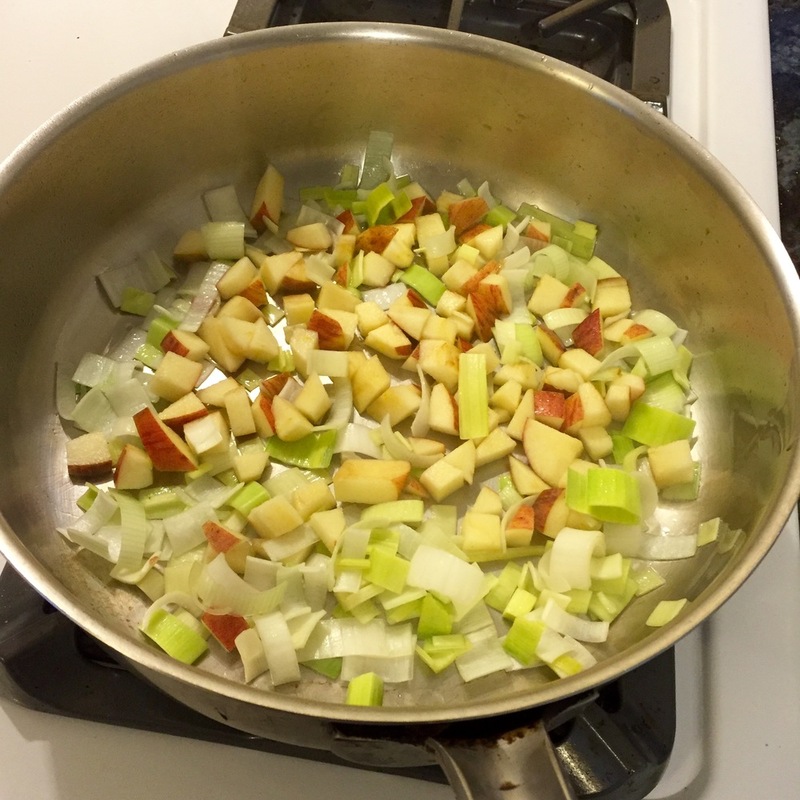 Kale with Sauteed Apples and Leeks — ECOR Holistic Food LLC. "I know I should be eating more greens, but I don't know what to do with them". Sound familiar? It's the single biggest thing I hear from my clients and most people that I talk to about eating a healthy diet. This dish is one of my favorite ways to eat, and really enjoy kale. The secret to maintaining a healthy diet is to make it delicious so we feel excited about eating it. Kale is pretty bitter so adding something sweet like an apple, and a mild pungent like leeks will help to balance out the bitterness. Lemon works wonders too. Give it a shot, and let me know what you think by posting your comments below. Fill a large bowl of cold water and place the kale in the bowl and swish around, allowing the dirt to fall to the bottom of the bowl. The bowl needs to be big enough so the kale isn't too crowded, there should be enough space for the dirt to fall to the bottom. If you're bowl isn't big enough, just do it in two batches. Once the kale is in the strainer, and your apples and leeks are washed and cut, you are ready to head to the stove. I love using ghee, which is a type of clarified butter that is great for gut health. Clarified butter is melted butter where most of the milk solids have been removed. Turn the heat up to high and add the kale. The high heat will help to evaporate any water leftover from washing, while helping the kale to steam. No need to cover, just use a pair of tongs to move the kale around so it all cooks evenly. The kale should only take a minute or two, depending on how crunchy you like it. Your kale is now ready to enjoy!